Plettac Contur is one of the advanced modular systems on the market. It provides fast, safe and economical access solution. 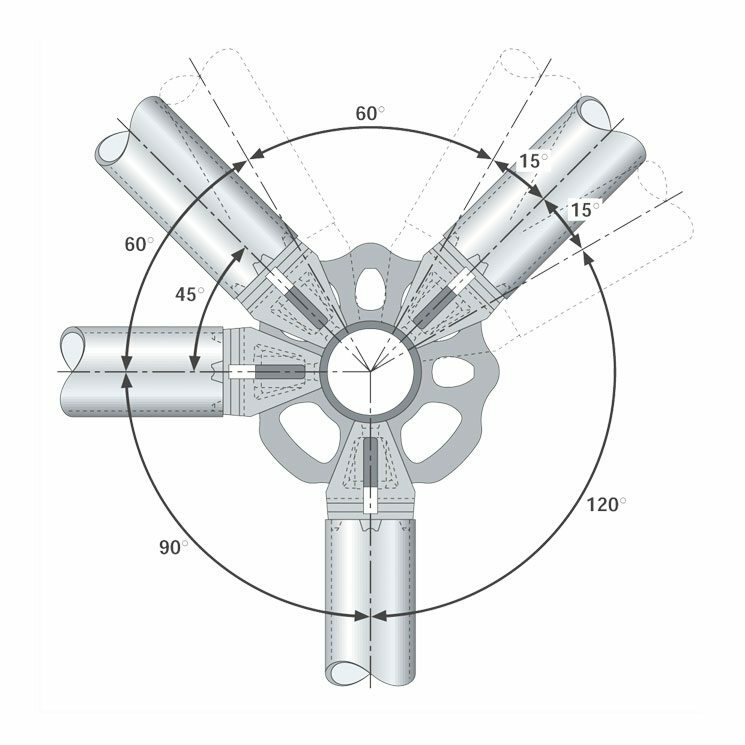 The rosette welded onto the standards allows 8 wedge connections, making this system truly multi-directional. The real benefits of the system are in the ease and speed of erection, this increases productivity and lowers labour costs. The system has been proven to be at least 40% faster than traditional scaffolds. For exceptional longevity and durability, all items are produced with a top quality hot-dip galvanised finish.